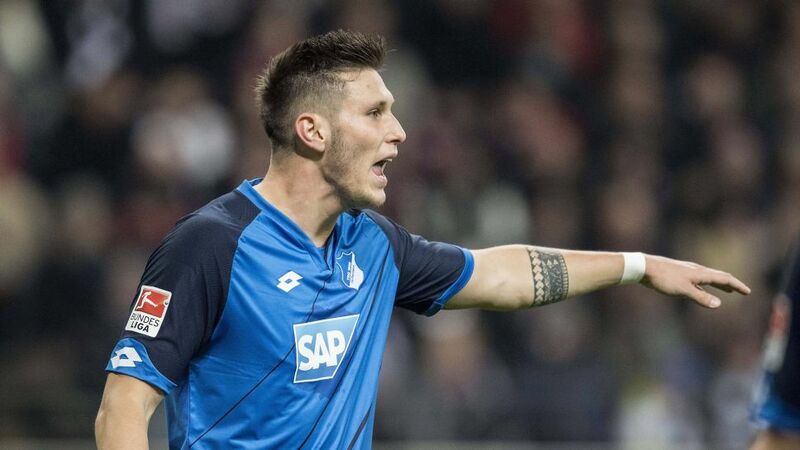 The 21-year-old Süle already has 88 Bundesliga appearances to his name since his Hoffenheim debut in May 2013. Two teams in Europe are undefeated so far this season. One of them is 11-time defending European champions Real Madrid CF. The other? TSG 1899 Hoffenheim. Süle has 84 Official Fantasy Bundesliga points. Snap him up here! bundesliga.com: Nikals Süle, Hoffenheim are the only team in Europe beside Real Madrid who are undefeated this season. How did a team threatened with relegation last season find such strength? Niklas Süle: With Julian Nagelsmann we have an excellent coach, the team has really good players and we all pull together. And together we have worked hard for these achievements and this status. The good start has helped us. Once you are on a run it is much is easier. bundesliga.com: What is so special about Nagelsmann? Süle: Julian is one of a kind. He understands how a player thinks but always exudes authority. He is an absolute expert and cannot be worked out by opponents. Analysis of opponents is one of his strengths, so far he has always set us up very well. We can play for clean sheets, as we have already done a few times, but we are also able to create chances. Head here for the Hoffenheim-Dortmund Match Centre! bundesliga.com: What do you make of Sandro Wagner, who has been the best German striker over the last calendar year? Süle: Sandro is a certain type of player. The kind of player that every team profits from having. He can play with the ball at his feet and because of his physique he can lead the line. He keeps us high up the pitch but if things are not going well he tracks back. Such a player is incredibly important to the squad. bundesliga.com: How does it look in training when you two go head-to-head? Süle: We've had that a couple of times this season, sometimes I picked up a bruise. However, I weigh six or seven kilos more than Sandro and therefore have a small advantage (laughs). bundesliga.com: In your youth you were a striker and scored 100 goals in one season. Why does somebody become a defensive player having had so much joy in front of goal? Süle: I was really a super striker. I cannot explain why (laughs). No, seriously, somehow the coaches put me further back in my youth because of my size. And I have probably done quite well. Since then I am an international defender. Süle: This season it is really a bit difficult to assess BVB, they sometimes have problems this term. This does change the fact that their squad has enormous quality, especially up front with Aubameyang and Reus. We will have to work hard. But we know we are at home in front of our own fans and we want to win. Head here for more TSG 1899 Hoffenheim club news!